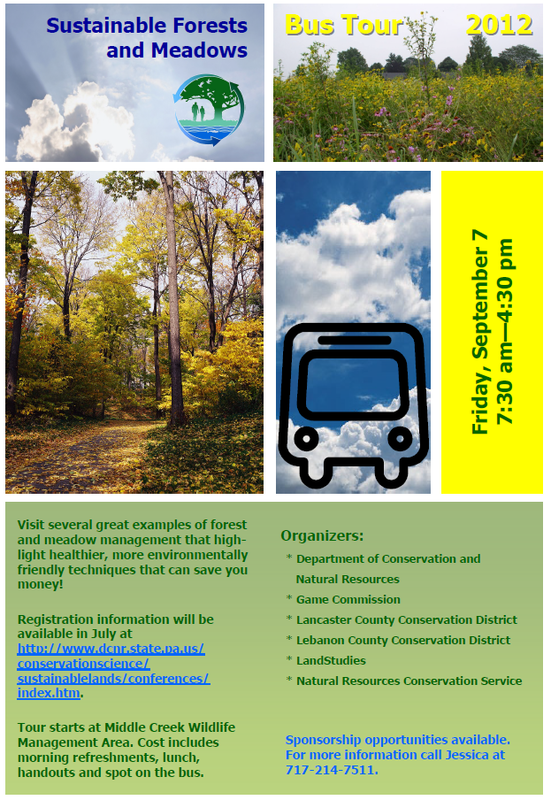 The first event is a Sustainable Forest and Meadow Bus Tour in Lebanon County, PA. Attendees will get to see various ways of planting, managing and maintaining warm season grass and wildflower meadows, food plots for wildlife, timber plots and tree farms. The tour is appropriate for small and large landowners, municipal and park managers and anyone else interested in creating great habitats. The price is only $35, which includes a meal, handouts and a spot on the bus. To register, go to http://www.dcnr.state.pa.us/ucmprd1/groups/public/documents/document/dcnr_010455.pdf to download the form or register online. The deadline to register is August 24, so hurry! The second tour takes place on September 20 in Luzerne County, PA. This tour showcases a variety of businesses, parks and landscapes that have natural stormwater management features, native plantings, and green building practices. Sites include Plains Animal Hospital, Nescopeck State Park, The Lands at Hillside Farms, and Kirby Park Natural Area, among others. The variety of sites and the sustainable features you will see at each make this a great tour for just about anyone. And the $30 price tag can’t be beat! To register for this tour, call Vinnie Cotrone at 570-825-1701. The deadline to register is Sept. 14. 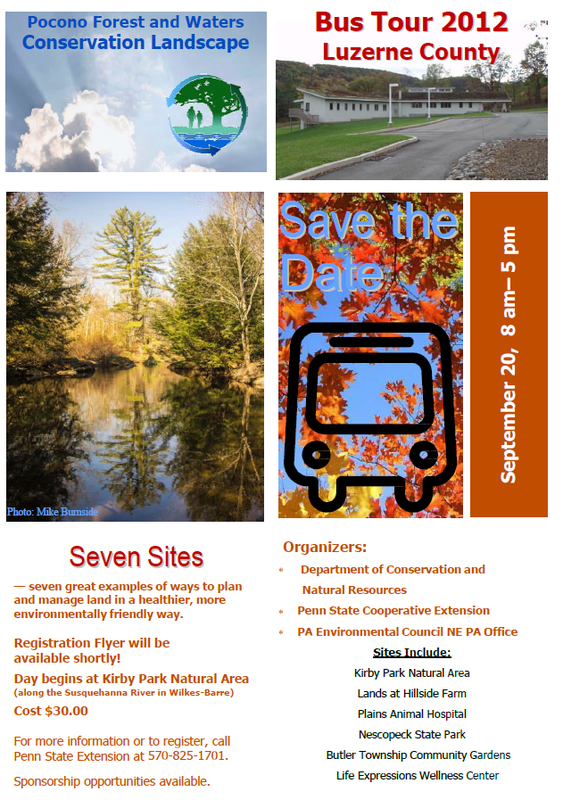 Last but not least is the Stormwater and Sustainable Open Space BMPs tour in Montgomery County, PA on October 24. This innovative tour will showcase places like Ursinus College, Shelly Square Shopping Center, and Cuddy Park – all places that feature green stormwater management solutions like native plantings around detension basins, swales, riparian buffers and more. To register for this event, go to http://agsci.psu.edu/sustainable-landscapes/montgomery. The price is $35 and includes continental breakfast, lunch, handouts and a spot on the bus. The deadline to register is October 12. Sponsorships are still available too. All of these great events are part of the PA Department of Conservation and Natural Resources’ Sustainable Lands Program. 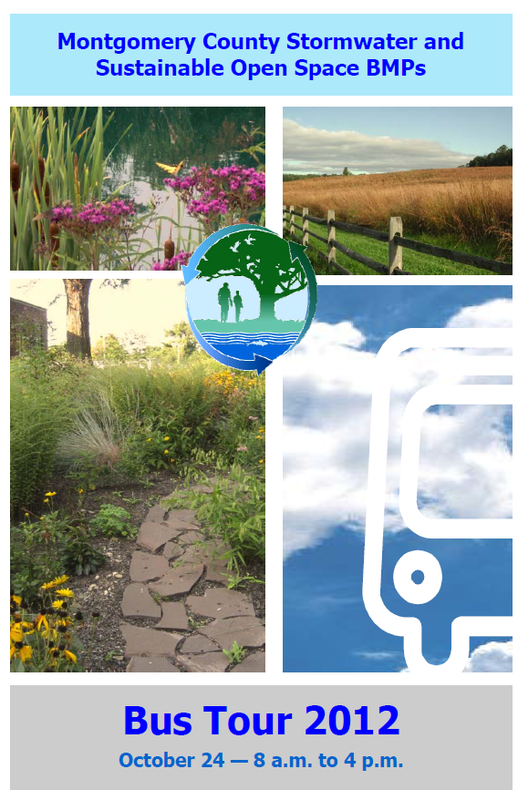 We work with a variety of organizations like the PA Environmental Council, Penn State Cooperative Extension, county conservation districts and more, to bring educational tours, workshops and publications to municipal officials, non-profit staff, landscape architects and the public. More information about our events, publications and more can be found at: http://www.dcnr.state.pa.us/conservationscience/sustainablelands/index.htm. I hope you can join us for one or more of these great events. And if you are interested in becoming part of one of the five the Sustainable Lands Partnerships across the state, please email me at jsprajcar@pa.gov.